While I was away I was saddened to hear that John Trim had died. He was the teacher who first taught me phonetics and the one who advised me to pursue a master’s degree in phonetics and linguistics with Gimson, Fry and Fourcin at UCL. Despite his modest and unassuming nature. he inspired me and many other Cambridge undergraduates to pursue the subject. My colleague (and predecessor as head of the UCL Dept. 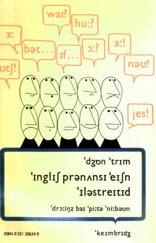 of Phonetics and Linguistics) Neil Smith says that it was because of Trim that he became a linguist. You can read obituary notices here and here. For such a key figure in my own career and that of many others it is remarkable that he leaves behind very little in the way of publications: for EFL just his much loved English Pronunciation Illustrated (CUP 1965, second edition 1975), and for general and English phonetics really nothing more than his brief but brilliant 1959 article ‘ˈmeidʒər | ənˈmainə | \tounɡruːps | in\iŋɡliʃ ||’ (Maître Phonétique 112:26-29). Despite being the founding Director of the Department of Linguistics at Cambridge, he was never promoted beyond the rank of lecturer. His main intellectual memorial is the Common European Framework of Reference for Languages, in the decades-long development of which he played a leading role (though he is not mentioned in the Wikipedia article). Here is a scan of part of my notes from the 1959-1960 introductory phonetics course he taught at Cambridge: a fair copy of an ear-training test he gave us, in which you will see I succeeded in recognizing 83% of the tones, exotic consonants and cardinal vowels. For us neophytes his most alarming mannerism was his silences. If you asked an apparently straightforward question, he would say nothing in reply. For five, ten, fifteen seconds you might look at him expectantly. Was your question so stupid that it didn’t deserve a reply? Had you made some terrible faux pas? Then at last the answer would come: carefully considered, beautifully expressed, full of insight. You can see videos of a recent interview here. Sad news. I had noted a few publications, but as you write, not directed specifically at English, except perhaps as co-editor of In Honour of Daniel Jones (Longman's 1964). Jack Windsor Lewis has written about him here. John, do you know what Trim's initials "L.M." stand for? I find it curious that, both in the brief article and on the book cover, he does not differentiate between i and ɪ. 2. The alphabet is intended particularly for writing connected texts. Consequently, in its construction attention has been paid not only to the appropriateness of each letter from a phonetic point of view, but also to the suitability of letters from the psychological and pedagogical angles and as regards typographical harmony, the needs of the printer and written form. 6. In languages where there are consistent relationships between vowel-length and vowel-quality, two vowel qualities may be considered as belonging to a single phoneme, the quality being conditioned by the length. Thus, in transcribing normal Southern English we may write feet and fit as fi:t, fit, using the same letter i but with the length mark in the first word. As in Eng. bit; Ger.. bitte. Can often be written with i, see §6. In their specimen transcriptions of Scottish and American pronunciations of The North Wind and the Sun, they use that distinct predecessor of ɪ. In their three broadest-narrower-narrowest transcriptions of 'one variety of Southern British', only the narrowest uses this distinct symbol. In more modern times, the interests of phoneticians have been elevated above 'the psychological and pedagogical angles' that used to be important. When I started teaching English language, IPA transcription was still broadly valued in the trade. We happily used books with the simplest possible version of Daniel Jones's English Pronouncing Dictionary. The last thing we wanted was a proliferation of vowel symbols. If we'd been aware of difficulties with American and Scottish pronunciation, that was somebody else's problem. Although there are still enthusiasts like me, the EFL trade has largely lost interest in IPA. (They lost interest in Phonetics long ago.) Trim stood out as combining the role of distinguished phonetician and leading figure in an important field of language learning. In John's image above the front cover of the 1975 Trim & Knweebone's delightful book shows ˈɪŋlɪʃ prənʌnsɪˈeɪʃn ˈɪləstreɪtɪd. Compare this cover of the first edition. (My book looks the same and is dated 1965.) If your compiter system allows, you should make out ˈiŋliʃ prənʌnsiˈeiʃn ˈiləstreitid. The page which begins with a sheep....a ship.......a bean...a bin is headed i:/i and these are the symbols consistently used. On the i page, there's an -ed spelling in ˈwitʃ əv ðə ˈsiks ˈθin ˈwimin iz ə ˈwikid ˈwitʃ? I wish you could see the picture! There's an even better pair of picture to illustrate ˈdʒi:n ̩laiks ˈdʒin ... bət ˈdʒɪn ˈdʌznt ̩laik ˈdʒi:n! Similarly ei is the heading of the page which begins with a space ship. I didn't realise the link would be to that Japanese site. More examples of i instead of ɪ.
Ah thanks. I hadn't encountered that before. And as an American, I mostly ignore length marks when reading IPA and reading for meaning, except after a where they indicate a place I'd have an r. This is the first time I've encountered a transcription where that didn't work. Come to think of it, that doesn't explain the book title. I understand why the two vowels in English get the same transcription. I know that many have KIT there where some of us (me included) have FLEECE. But I don't understand prənʌnsɪˈeɪʃn. I'd take the third syllable to have FLEECE, but it's not marked as long. Is it actually happY? The general of IPA users didn't use to think like that, even if some phoneticians disapproved. Eventually the phoneticians had their way, those more interested in 'the psychological and pedagogic angles' and wishful that 'ordinary roman letters should be used as far as may be practicable' were not best pleased. In the sort of English pronunciation that interested British teachers — RP, near-RP, modified RP and any accent with more or less the same phonological inventory — all that mattered was that the third vowel in pronunciation is not long. Rightly or wrongly I think of that vowel as happY as you suggest. I was much more contented (I was about to write happier) when happy was transcribed hæpi. I always had an aversion to the pronunciation nowadays represented as hæpɪ. Perhaps it was an unconscious defensive reaction when I thought I was an RP speaker. The notion of the happY vowel distinct from the KIT vowel is a comfort. I certainly don't say prənʌnsɪ-. Even in modern transcription I say prənʌnsi-. Well, it might conceivably be prənʌnsɪj-, but that would be making a meal of it. Kingroot is a tool using which you can root your Android device without PC.